It seems like all this week, I've come across tons of awesome pet product giveaways along with some good deals. So today I bring you the giveaways galore edition of Social Pet Saturday! I love entering giveaways and am lucky enough to even win a few here and there. So if you'd like a chance at some nice products for your pets, take a peek at the long list of giveaways I came across this past week. And good luck! 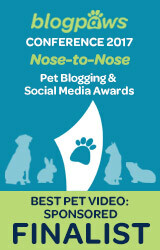 BarkWorld 2013 Swag Giveaway - Win a cat or dog swag prize package from BarkWorld at Pepper's Paws. Dog Treat Giveaway - Enter to win a bag of Mega Meat Beefy Bones from Freebies for Fido. Faces of Chewy: End of Summer Giveaway - Win gift cards or a prize package from Chewy.com. I read about this giveaway at 2 Brown Dawgs' review of Natural Balance Platefulls. For Love of a Dog Jewelry Hollywood Bound Giveaway - Win a beautiful handmade bracelet for dog lovers from a For Love of a Dog Jewelry! Pruven Product Kit Giveaway - This prize package from Gizmo at Terrier Torrent includes some great products to help you clean up after your pets! Who's Walking Who? 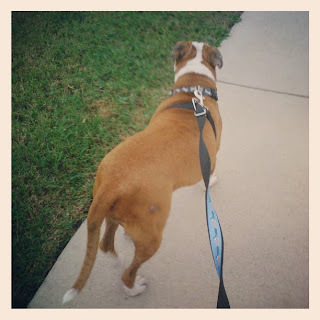 - Remember when I reviewed the ThunderLeash? Why not enter to win your own! Going for a walk with the ThunderLeash. Zuke's Treats Product Review and Giveaway - Oz the Terrier barks his opinion about these treats and offers readers a chance to win some for their own dog. Gourmet Meals by Ideal Balance and Giveaway - Dolly the Doxie is giving 20 lucky readers an awesome prize package of Hill's Ideal Balance dog food. Stanley & Norman bad boy basset brothers-by Frank Monahan, Illustrations by Deborah Fitzgerald - Our friend Dakota is giving away a fun and cute children's book starring some basset hound brothers. Logo Competition for Mollie and Alfie's shop - Create a logo and you could win a prize from Mollie and Alfie! Win 20 lbs of Hill's Grain Free Cat Food - Pawsitively Pets is currently hosting this giveaway for our readers - good luck! 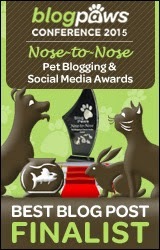 Other bloggers are also giving away the same cat food right now. 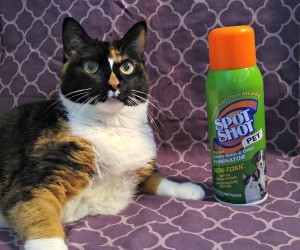 Just search #HillsPet on Twitter to find more giveaways for this food. 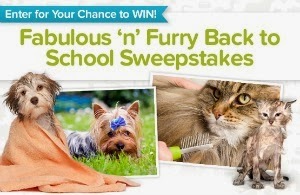 Fab & Furry Back to School Giveaway - Stop by Pet360 to enter to win a deluxe grooming prize package worth $150. OK... I think that's it! Wow - this list was much longer than I had expected! Good luck to everyone and don't forget to support these fabulous blogs for hosting these giveaways by following them. I also want to take a quick moment to congratulate Remy, Jules, Riley, and Pam on winning a digital copy of All Natural and Homemade Dog Care! Stay tuned next week! We'll be joining Sugar the Golden Retriever as a co-host for the #ScoopThatPoop blog hop on Monday, September 23rd. Also, get ready for some super cute Halloween costume photos of our pet rat - Nibblet. See you soon! Yours is so awesome :) I think it's so cool how some celebrities might be wearing your cute bracelet! Loved that you listed all these giveaways. I am off to go enter some now! So much great stuff out there....thanks for sharing! Since I started blogging I've had better luck than I used to, and have won some cool stuff (as you know, since I've won from you). I love Sue's jewelry, so have already entered that one, now I'm going to check out some of the others. Have a great weekend! Well maybe it's because we enter more as bloggers? You have been lucky enough to win a few good ones here Jan! Wow that is a long list of giveaways, unfortunately none we can enter but good luck to all who do. Have a super Saturday. Sure Dakota - hope you have a nice weekend! Pawsome list! Thanks for posting it! Thanks for posting all these links! I entered a few! Wow! Great list of things to check out! 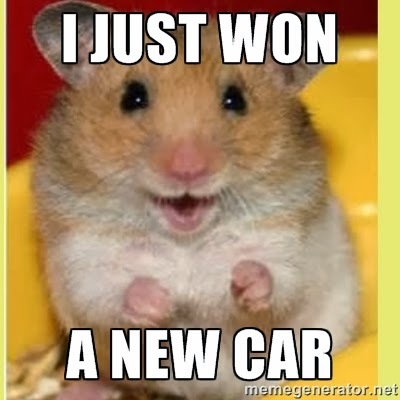 It's so exciting to win giveaways here and there! Goodness, that is a great bunch of great giveaways! That's a lot of giveaways! Unfortunately, we don't qualify for them for being Canadian. Thanks for sharing. Oh you will love the costume Rachel! Yes I know! I'm running late on that, but I'll get it done! Holy smokes, that's quite the roundup of giveaways. Thanks for sharing this with all of us, Ann! Thanks for the list! We entered a few of the contests! There must be something wrong with me. I never get approached to give anything away. Everything I give away, I either won or bought. Sigh. There is nothing wrong with you CK! I do think it's awesome for you to donate your own items to your readers for giveaways. Of course! It was an excellent review and I went and entered the giveaway as well.